Notification Center, which originally launched with iOS 5 as way to aggregate all your phone, email, calendar, and other alerts, has gotten a substantial makeover with iOS 7. There's a new, tabbed interface that contains not only all and missed alerts, but a Today view that includes the date, time, weather, and information about whatever you have coming up next (including traffic and trip length!). It also uses iOS 7's new physics engine, so it'll drop, collide, and even bounce if you slam it down. Notification Center's Today view shows you the current day and date, next appointment, next destination, calendar list, reminders, stocks, an tomorrow's highlight all at a quick glance. It's not only convenient, it's customizable too. Notification Center's All and Missed views give you list of all the alerts that have come in since the last time you opened their respective apps, and also highlights the ones you've most recently missed. You can automatically sort them by when you installed the app or date and time of alert, or you can manually sort them in any order you like. Depending on how important a Notification Center alert is to you, you can have it pop up and force you to dismiss it before you can do anything else (useful for alarms, events, and reminders), a banner that unobtrusively shows up and then fades from the top of you screen (useful for messages), or nothing at all. You can also, optionally, have Notification Center badge your app icon to show you at a glance how many unread items await you. In order to make sure you notice your alerts, Notification Center can optionally sound a tone, vibrate your phone, or even make your camera's LED flash go off to get your attention. Rumor has it that iOS 8 will bring some changes to Notification Center, including a merging of All and Missed views into a simpler, more useful screen. This is your one-stop shop for everything there is to know about Notification Center on your iPhone and iPad! Amber Alerts are on by default, here's how to turn them back off! Your iPhone makes sure you never miss AMBER and other kinds of emergency government alerts. I just got a notification and now I can't find it. Help! Don't worry. Notification Center is there when you need it. It's nice to get notified when you have an incoming message or alert, but sometimes you just want your iPhone or IPad to stop bothering you. Can't find that notification that just popped up on your iPhone screen? There's a way to fix that! It's time to take control of all those distracting notifications. iOS 12 makes it easier! iOS 11 replaces Notification Center with a new Cover Sheet that looks like your Lock screen, and the new settings give you more flexibility than ever. You can use the Today view as your window into your iPhone. Customize it to suit your needs and it'll always work for you. Most applications send you notifications from time to time, and Notification Center in iPhone and iPad governs which apps can do this and the form that these notifications take. This article explains how you can change these settings. With interactive notifications, no longer do you have to stop what you're doing to respond to a message, trash a junk mail, or accept a calendar invite. Touch ID too fast for you to see your Lock screen notifications? Here's how to get date sort instead of sort by app in Notification Center. 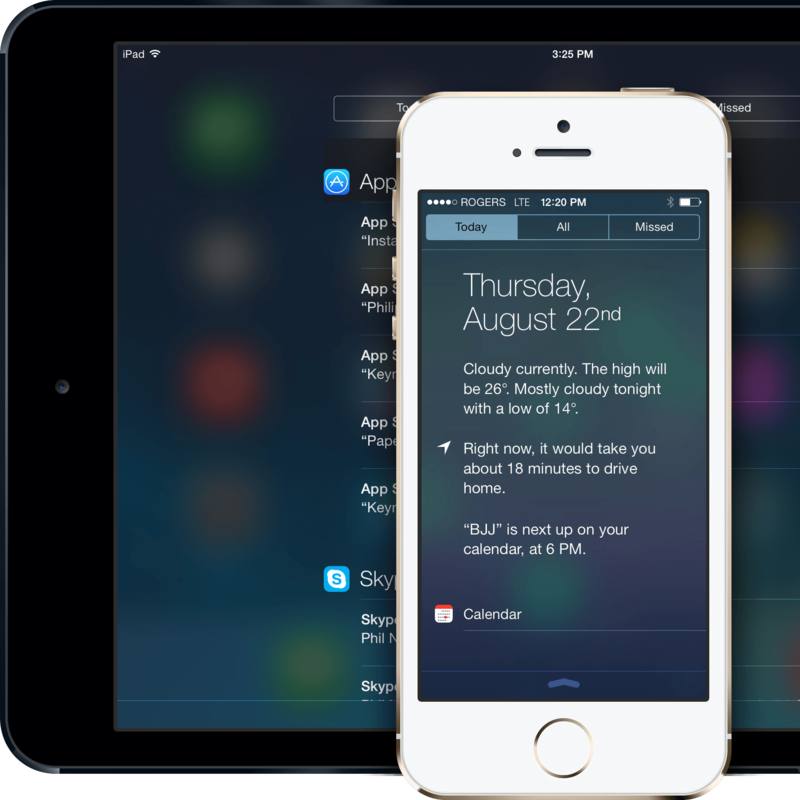 What would you change about Notification Center?